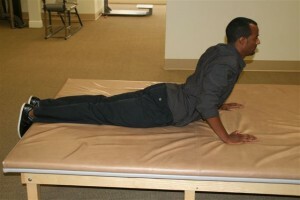 Baudry Therapy Center | BRIONewsAches and PainsGood Morning Exercise! Are you slow moving in the morning? 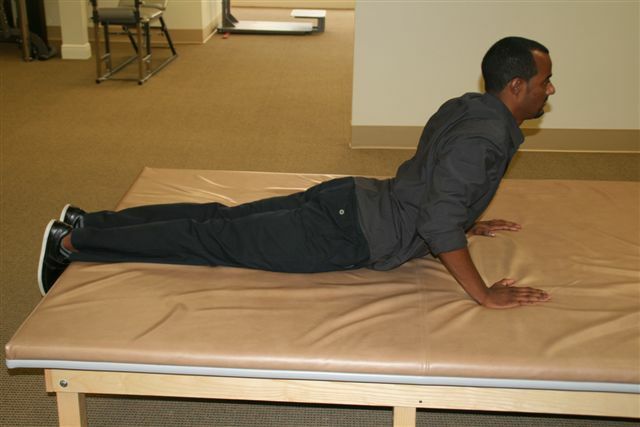 Is your back stiff when you wake up? If so, you’re not alone. Many of us feel this way in the morning. It could be from the activity of the previous day, or just the fact that your body has been sedentary all night. Our bodies crave movement and when we are still at night our bodies tend to get stiff. Like the oil in our car, our joints have fluids which help them glide better. Moving helps lubricate the joints allowing them to move more freely. Lie on your back, pull your knees to your chest and hold for 5 seconds. Repeat 3 times. Still lying on your back and holding your knees to your chest, rock your knees back and forth in a smooth controlled manner for 2-3 minutes. Next, lie on your stomach and press up with your arms to arch your back. Repeat 10 repetitions. 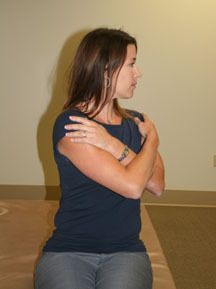 Finally, sit on the side of the bed, cross your arms across your chest and rotate back and forth. Repeat 30 times each way. What is your favorite morning exercise that gets your body geared up and ready for the day? Leave a reply below and let us know! Get your mind, body & soul moving in the morning & give these exercises a try.